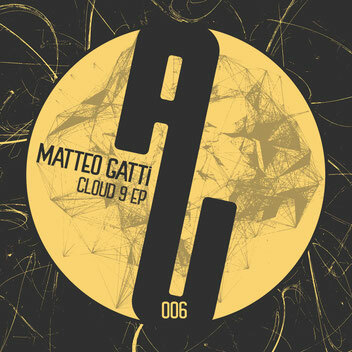 We close our first label year with a massive three-tracker by one of Italy’s most bustling artists of the underground music scene: MATTEO GATTI. Lately shining with tracks on Deeperfect, Alchemy, Undeliving Rec. or Azul Tunes, he also proves to be a master of the groove since two decades by collaborating with the Neverdogs or performing all over Italy in clubs like Tenax. The „Cloud 9 EP“ is unmistakably intended for moving the floors. The fact that less is more demonstrates „Cloud 9“ imposingly. Nine minutes of a simple sweepin’ bassline that doesn’t require more than a catchy rhythm and some funked up elements, drawn to attention with subtle tensing break-ups and drops. Right perfect to keep on movin’ and losing track of time by sticking in the groove. Loopy stuff with maximum effect! „Brother’s Crew“ and „Thermoculture“ are based on effective rollin’ drums and low-frequenced bass cuts. Showing off the sparkle of the good old drum machines with their dynamic power and clean rawness, these tunes are boosting the sweat emission on the floors immensely. Wicked stretching squeeze sounds are blurrying „Brother’s Crew“ in little madness, while the other one is catching up the positive vibes for a flowing ride. Groove on! © 2018 as usual. - all rights reserved.